RYLA's Service Across the State a huge success! In Utah County, everything was moved from an old food pantry to new facility. It was expected to take for hours, but you did it in ONE! In St George and Hurricane, hygiene kits were assembled and donated. We're thrilled for another RYLA, coming up September 19-22, 2018 at Aspen Grove up beautiful Provo Canyon. We're looking for facilitators, Alumni Leaders, and of course, wonderful students to come. Click here for more details. Thanks for your interest in our Utah Rotary Youth Communication Specialist Paid Internship! We're looking for a creative, dependable and organized high school or college-aged individual with graphic design experience and a knack for social media to help us reach & engage youth in Rotary, our youth programs (RYLA, Interact, Rotaract & Youth Exchange) and events. Work directly with Utah Rotary Youth Chair, Miriam Barth, to set goals & strategies for engaging youth through social media. You'll create social media campaigns, monthly calendars organizing posts, and submit weekly progress reports. 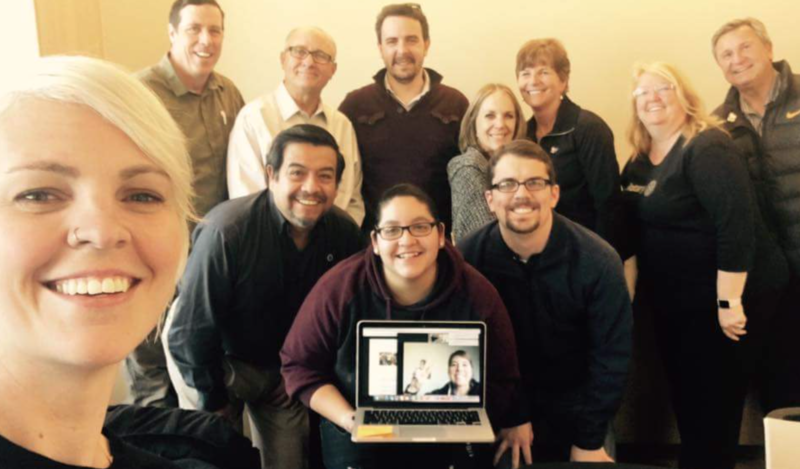 Collaborate with Rotary Youth Program Chairs to learn about their events & initiatives. Our monthly conference calls are the last Wednesday of every month from 8-9pm. Design & post creative, interesting & fun content. We'll set you up with an account with Canva (an online design software program), and hook you up with photos, logos, and the works. Offer your ideas & recommendations on how we can improve communication with youth in Utah. You'll be our go-to person for all things social media technology. We're asking for a 6-month commitment, and anticipate the work requiring 3-4 hours/week depending on experience. We'll pay our intern $100 per month and offer training, tools & support for success. Fill out this online application. Have an adult (not related to you) submit this recommendation form. E-mail Miriam Barth your resume. Preference will be given to applicants who've been involved in Rotary youth programs. Send questions to youthrotary@gmail.com. Take advantage of the exquisite beauty of Zion National Park with us at District Conference! Where: Meet at the Watchman Trailhead for a 2-hour moderate round-trip hike (368 foot climb). There are minor drop-offs, with end viewpoint of the Towers of the Virgin, lower Zion Canyon, and Springdale. Click here for photos. Cost: $20. 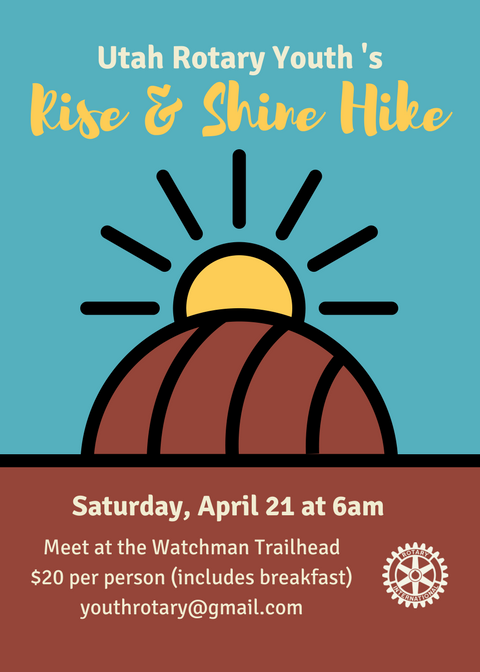 Proceeds go towards our Rotary Youth Programs, and will get you a fantastic breakfast burrito and drink to bring with you on your hike, as well as a trail-guide. Let's reunite & re-ignite the RYLA magic at our Service Across the State event, inspired by YOU! Join us for a service project at a location near you Saturday, February 10th from 10-noon. Recruit friends, parents, strangers & stray cats: EVERYONE! Come when you can for as long as you can & plan on lunch. Where do I meet to serve? Click here to find out! Should I RSVP? It'd be nice, but not required. Click here to RSVP. Can I help with planning efforts? Absolutely! Contact Mama Natalie here. If you can't make it, still join us by phone or video! Join from a computer (https://zoom.us/j/628284519) or by phone (669-900-6833 or 646-558-8656. The meeting ID is 628-284-519). Can't wait to see you! We’re proud to share our 2017 Rotary Youth Program accomplishments. Click links for photos & more info. Upcoming events are in pink. 2017's RYLA has been called “the greatest ever” thanks to the organizational skills & infectious enthusiasm of RYLA Chair Natalie Argyle and her committee. 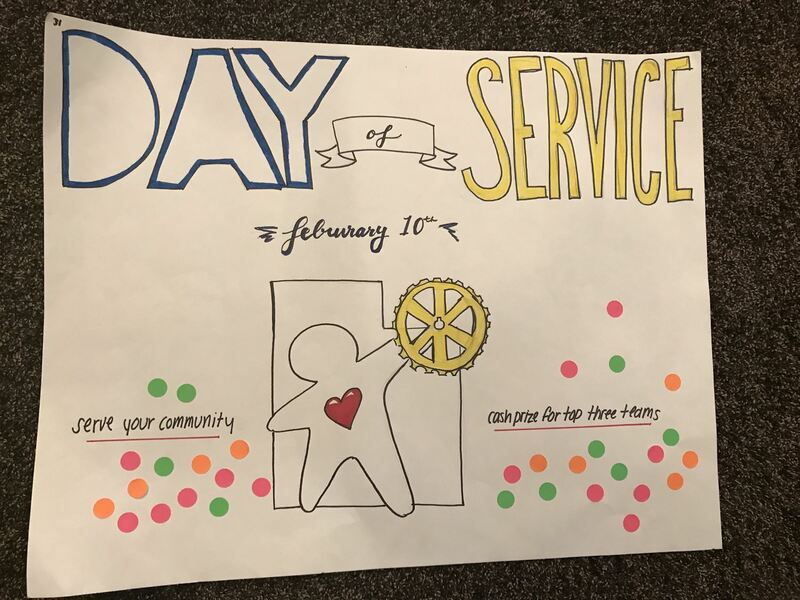 Click here for photos or a quick video Stay tuned for the upcoming RYLArian-planned “Service Around the State” day, February 10th from 10-noon, where we’ll be doing service in locations all around Utah. Promoted global understanding and leadership for 50 Interactors at our March Rotary Youth Leadership (Hunger) Banquet. Trained and connected with Rotaractors on a global scale & celebrated the re-chartering of the UVU Rotaract Club at the April Rotaract Training event. Advocated for kindness through service & leadership for 40 Interactors at our May 2017 District Youth Conference. We're expecting 80 young people for our upcoming 2018 District Youth Conference where we'll be serving & camping in Zion National Park. THE Penny Atkinson is our new fab Youth Exchange Officer, coordinating efforts to host 4 fantastic students from Brazil, Chile, France & Japan & sending out 4 students to Germany, Italy, Brazil & Spain. 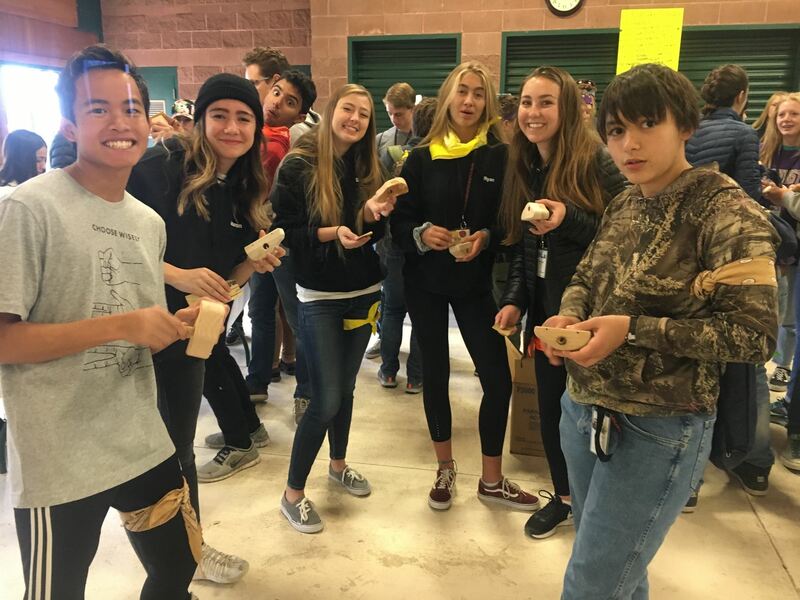 With her great committee, they’ve planned excellent activities for our exchange students including a trip to Moab, a holiday party, and upcoming Park City adventure, along with the annual Lake Powell trip in June (shout out to the clubs & families who host!). Watch out world because in 2018-2019, we'll send out 6 outbound students, allowing us to host more students this year. We’ve organized multiple youth service trips to the Hopi Reservation this past November, as well as upcoming trips to Puerto Peñasco, Mexico June 9-16, 2018 and partnering with Kids Play International to go to Rwanda July 26-August 7, 2018. We launched the Rotary Mentoring Hub, which allows for Rotarians to be mentors to young Rotaractors or Rotarians. At our recent strategic planning meeting (photo left), we determined that over the next 3 years, we'll be implementing a new Young Professionals committee that will focus on better attracting, engaging & retaining Rotarians under 40. Through this initiative, as well as to improve accessibility and communication, we hope to increase the percentage of Rotarians under 40 from 4% to 8% in our district. 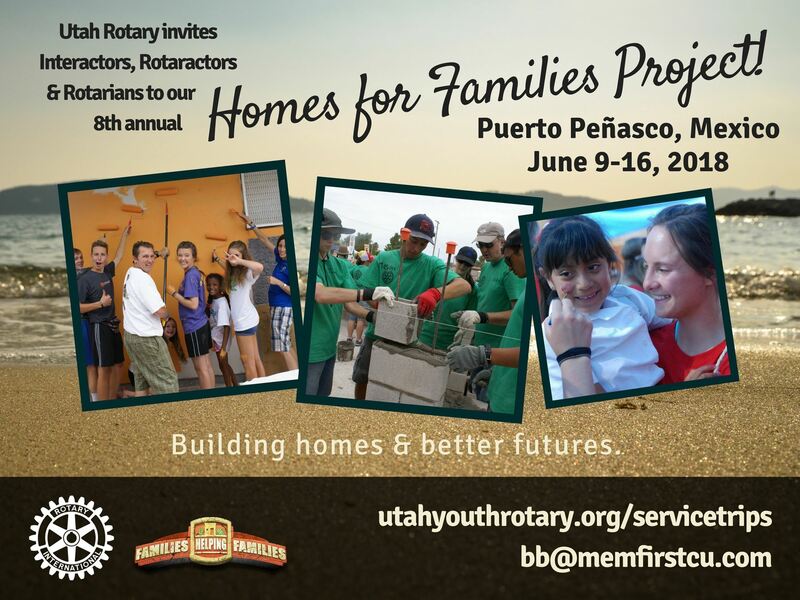 For questions or concerns, contact Utah Rotary Youth Chair, Miriam Barth. Rotary Youth Exchange informational meetings coming up! Ever hoped to live abroad, spending three months to a year totally immersed in another culture? Here's your chance! Rotary offers the best & least expensive international exchanges in the world. Grab a parent & come learn more about Rotary Youth Exchanges at one of our informational meetings. CLICK HERE TO RSVP. We'll be covering the cost of the exchange, rules & requirements, the application and interview process, as well as how families can host students in their homes. Also, we'll have past Rotary Youth Exchange students & families that will help answer questions. See you there! We're beyond excited for our upcoming Rotary Youth Conference, April 19-21, but that's because it really will be amazing. Here's the skinny. Please read it all. Registration is mandatory and is due before April 1 so we can get exact numbers required for camping, service projects & catered meals. Click here to register. The cost is $40-60 per person depending on how many nights you'll be sticking around. The cost includes (most) meals, snacks & water, your pass into Zion National Park, as well as our group campsite at the Watchman Campground Thursday, Friday & Saturday night. Once registered, we'll e-mail more details and instructions on how to pay. We know everyone can't arrive or leave at the same time or day, so the official "conference" is Friday afternoon (3-9pm) and Saturday morning (6-1pm). But you're free to come early or stay late! Service projects will be available before or after the conference, and we'll have lots of recommendations for hikes & such! Transportation is up to each club. If you need a ride, please let us know. Once you're in Springdale, we'll be utilizing the free shuttle which goes from our campsite to the conference every 12 minutes. WE'RE CAMPING! We opted not to stay in hotels because they cost a fortune, or to be split up in home-stays with local Rotarians because we wanted to be together. As such, you are responsible to bring your own gear, including a tent (with rain protection), sleeping pad, bag & pillow, appropriate clothing & shoes, water bottle, etc. Please don't underestimate mother nature in the spring! Don't sweat (or do!) -- we'll set up a way you can take showers inside Springdale, near the conference center. Weather: Late April in Zion can get super warm in the day (as warm as 80 degrees) and cold in the evening (as low as 40 degrees). There can also be lots of wind & rain, so prepare accordingly. If the forecast predicts extreme conditions, we may cancel the event & refund you. What to expect: At the conference, you'll mingle with like-minded folks from around the state, both your age & older Rotarians. There'll be break-outs on leadership, planning projects, traveling with Rotary, etc. allowing you to pick & choose what is most beneficial to you. We have a sunrise/breakfast-burrito hike in the works, service projects together in Zion, and of course, s'mores around the campfire. If you have questions or concerns, e-mail Miriam Barth. 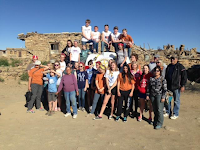 Each year, Interactors (high school aged Rotarians) have the unique opportunity to join Rotarians for a service project on the Hopi Nation, a Native American tribe whose villages date back to 1200 A.D., descendants of the Anasazi culture. The Hopi Nation live on the mesas of Northeastern Arizona. This year we'll be providing firewood and repairing a school and/or local homes. We will work with local Hopi students teaching life skills through Jr. Achievement. The cost is $200 which includes transportation, food and lodging. We're accepting applications on a first come, first serve basis, accepting those who have paid their $200 and submitted their paperwork. To ensure a quality experience for our participants, we are capping this trip at 20 students and 10 chaperones. Thursday-Meet and load vans, drive to reservation. Friday- Teaching Jr. Achievement skills to local Hopi students. Distributing dictionaries and firewood. Saturday- Various work around the reservation. Dinner with locals. Sunday-Sunrise service on sacred mesa, drive home. We're excited to announce our Service Project Showdown competition between our Utah Rotaract and Interact Clubs! Clubs will submit a 3 minute video of their club "Making a Difference" (Rotary International's theme for the year), by March 1, 2018. Videos will be judged by a panel of Rotarians who will be looking for clubs that highlight Rotary-strong projects/events. See below for what components make up a Rotary-strong project. SHARE a 3 minute video of your club putting on your proposed service project by March 1, 2018. Here's where you'll share it. HANG TIGHT as Rotarians look over your videos. 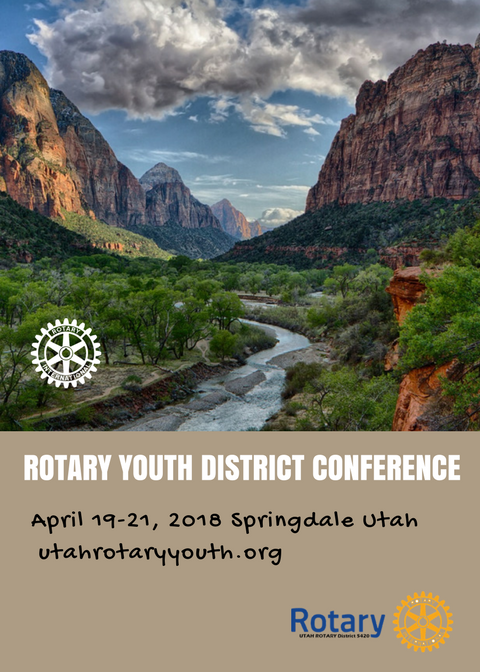 CELEBRATE at our 2018 Annual Rotary Youth Conference in Springdale as we announce the winning clubs, and award them with prize money. If your club members can't make it, we'll notify you if you're one of the winning club. We seek for quality of our service projects & events. Does our project address one of Rotary's 6 avenues of service? What is the impact of our project/event, and on who? How well has our club considered the sustainability of our efforts? How creative or memorable is our club's project? How much does the project stand out compared to others? We seek to strengthen friendships and our team. How well does our project engage each of our club members? How well has our club considered collaborating with other clubs & Rotarians-- creating an even bigger team? How well has our club celebrated our successes and members? We seek to expand our movement. How well have we publicized our efforts? Do people know about our project/event? How well has our club invited the larger community to join our efforts? How well have we educated others (including club members!) on what we are doing and why it is important? Good luck, everyone! For questions or concerns, please contact Miriam Barth at youthrotary@gmail.com.